This unusual pendant lamp comes in matt-black or shiny nickel plate. The spherical lampshades are suspended on black cables which are fastened together by a moveable ring like a bunch of grapes. The high-shine nickel-plated inside lining reflects the light and spreads a warm and intensive light over the table. The ceiling rose is made of hammered sheet metal. To know more about customisation and trade price, contact seller via Treniq. 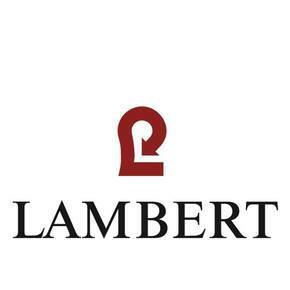 Lambert is one of the leading international lifestyle brands for holistic living environments. The collection comprises around 2,000 different items - furniture and living accessories - made from natural materials with unique craftsmanship. Ever since its foundation in 1967. Lambert has with "crossover" and "Manufacturing around the World", with the combination of original materials And contemporary design.